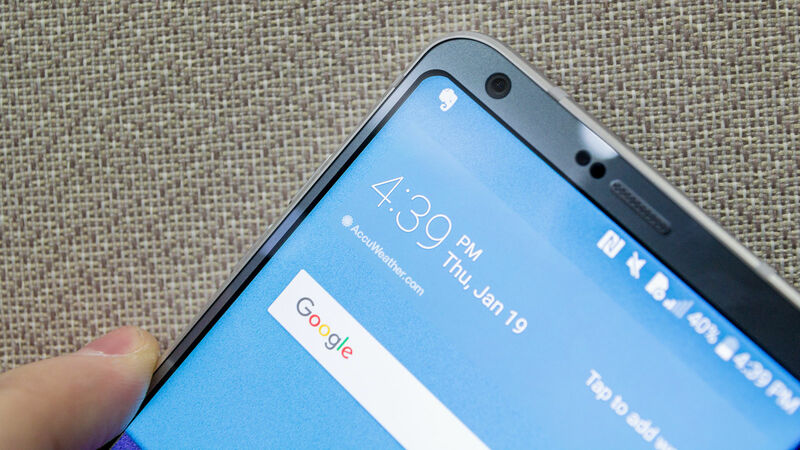 LG brand has finally revealed and confirmed the launch of its next flagship LG G6 at Mobile World Congress in Barcelona. The new released brand appears to be more successful than LG’S other G series models with its full edge to edge display. The handset release date will be 2017, March. LG G6 SIM Free price wil be around £600+ in the UK. LG G6 is expected to feature with full screen without any bezels around the edges. Though it is not clear how the stretched screen of the device would work. The device is rumoured earlier to come with a 5.7-inch display, an ultra-wide 18:9 aspect ratio and is expected to feature full HD resolution of 2800X1440-Pixel, translating to a density of 564 pixels per inch. LG G6 is expected to be introduced with full edge to edge display and curved corners, giving the phone an impressive and attractive look. According to rumour, there is no much improvement and advancement in the camera quality of the handset. The phone is expected to come with 3300mAh non-removal battery. LG’s new flagship phone will possibly run on the latest version of Google’s’ Android operating system ‘Android 7.0 Nougat’ with the latest version of LG’s UI that feature a refreshing new look. The handset is expected to come with a cutting edge Snapdragon 835 processor. According to rumours, the new phone is expected to provide the resistivity to both water and dust and also it is rumoured to support 4GB RAM and 32GB of internal storage. So, these are the expectations and rumours for the upcoming LG’s new flagship, G6 and make it pretty exciting for the Smartphone lovers.